Had quite a bit of rain this week but didn’t keep us from fishing Friday. Water was a little green but we were still able to catch mackerel. Then it opened up Saturday. Bottom fished for Grouper, black sea bass, grunts…then changed to trolling for mahi. Had great clients and fish….can’t get any better. Then Sunday…more great clients!!! 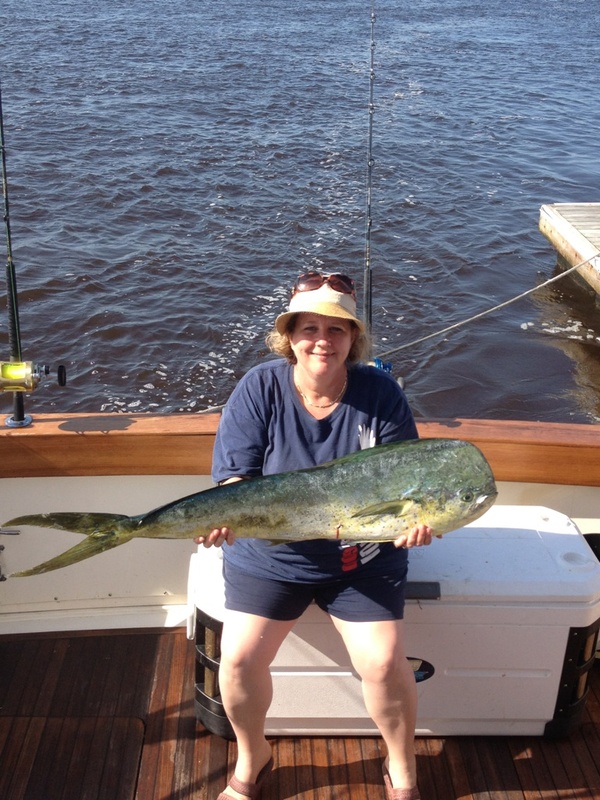 The Mahi and Kings were active and the lady of the boat caught the biggest!